Innovation is a key driver to meet customers and consumers‘ needs. Newly developed tomato, broccoli and cauliflower varieties will be showcased at Fruit Logistica. 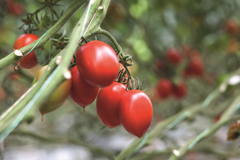 Delisher is a tomato variety launched under the De Ruiter brand. Delisher tomatoes are a delicious cherry plum tomato that outshines other varieties because of its sweet taste, texture, and looks. They are strongly attached to their truss, a great additional product benefit that ensures fruit will stay attached until after harvest. A second crop deserving growers’ attention is higher yielding broccoli that delivers excellent taste. Some consumers prefer a milder and sweeter taste. Under the Seminis Bellaverde™ broccoli brand, Bayer has launched varieties like “Sibsey” – a sweeter, crunchy broccoli variety that has an appealing uniform green color to make it also usable for snacking. Follow the activities at Fruit Logistica live on @Bayer4Crops#FruitLog2019, Facebook or Instagram. Bayer Food Chain Partnership has become an indispensable link between growers, traders, processors and retailers worldwide in the past 14 years. Its aim is to drive the implementation of sustainable farming practices in 44 countries focusing on 76 different crops. Bayer is continuously seeking new partners. Learn more about Food Chain Partnership at www.foodchainpartnership.cropscience.bayer.com.